Different types of residential and commercial buildings around the world. However, the green building concept in recent times gets ever-increasing recognition and encourages many people throughout the world to focus on pros and cons of this building type. In general, green building, sustainable building or green construction refers to both the application and a structure which is resource-efficient and environmentally responsible all through the lifecycle of the building from planning to design, construct, operate, maintain, renovate and demolish the property. Everyone in the green building project requires close cooperation to complete the project within the budget and schedule. Qualified engineers, contractors, architects and clients have to ensure that the completion of the project in every stage and comply with the project requirements. All beginners to the green building these days think about the basics and complex things involved in it. A green building is a structure which eliminates negative impacts and makes positive impacts on the natural environment in its design, construction or operation. The green building preserves the natural resources on the whole and enhances the quality of the life. It is the right time to find out things which can make a building green. Any building can be green when it includes the above listed elements in it. Every green building is different. For example, every country has distinctive cultures, unique climate conditions and various building types and ages. You can pay attention to the social, economic and environmental priorities to invest in the green building. You can contact and discuss with experts in the green building to be aware of how to pursue one of the most suitable green buildings suited to your region. Going green in the construction project is an expectation of everyone who has decided to reap benefits from the green building. Increased consumption of resources and uncontrolled population growth lead an ecosystem to unable to sustain the lives of everyone in the world. Every country focuses on sustainable and innovative practices for reducing things associated with the degradation of the environment. This is advisable to start constructing the green building with your own home. Everyone has to do their part for maintaining the earth green on a regular basis. They can get more than expected advantageous things from the environmentally-conscious construction of buildings. Green construction is common in many countries with an aim to protect the nature and complete the project without compromising favorable aspects of the environment. Eco-friendly building practices these days catch the attention of almost everyone who has decided to construct the building within the budget and schedule. If you are constructing a new building or altering the existing structure of the building, then you can focus on easy-to-follow methods to implement the eco-friendly building practices. You can minimize the negative impact in the existing or proposed building. Many people in particular beginners to the construction sector these days prefer a single top-notch system. They can focus on how to include as many eco-friendly improvements as they use to build the green building. Green construction practices these days include, but never limited to the following. All beginners to the green building benefit these days take note of the main attractions as well as benefits of this building. They wish to know about the environmental benefits of the green construction at this time. They can make employees working in the green building happy and healthy together. Construction employees often suffer from the headache, asthma, allergic reactions and other health problems. They can overcome possibilities of health problems when they work in the green building project. Reduction of the energy cost is one of the main benefits for individuals who constructing the green building. The green building project has the best stuff to attract top talent and increase the overall value of the property in various aspects. There are additional business opportunities in the green construction sector. These opportunities come from appealing to conscious consumers. Individuals of every age group expect something special about the green building. They understand ever-increasing requirements to follow with the green movement and make use of every opportunity to be successful in their approach for constructing the green building. Any building project which lets individuals to preserve the most of the natural resource is called as the green building. 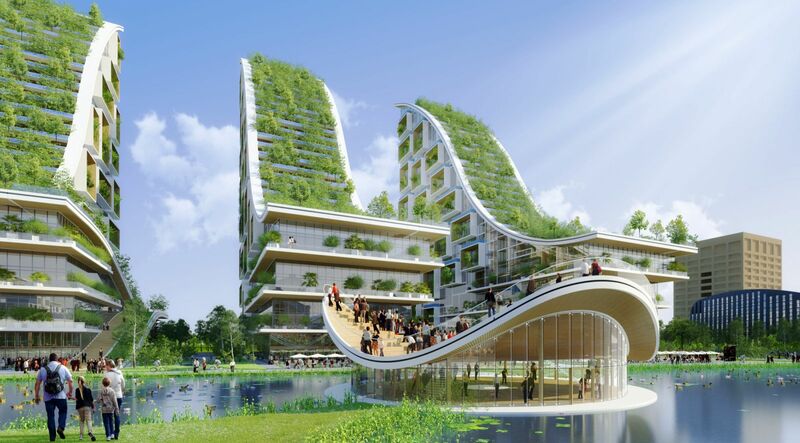 The construction of the green building promotes the healthy environment and encourages many people throughout the world to focus on the foremost favorable things from this project. You can contact and seek advice from experts in the green building project right now and get an overview about how to successfully fulfil expectations about the easiest way to construct the green building. Regular updates of the official websites of construction companies specialized in the green buildings nowadays encourage all visitors to focus on the main things involved in such projects one after another. This is worthwhile to discuss with specialists in this leading sector and fulfil expectations about the realization of the green building project within the budget and schedule. You will save your money and time when you invest in materials required for constructing the green building. You will be confident to recommend the green building to likeminded individuals in your network.